The new Pope has been getting much attention due to his unorthodox and progressive ways. So much so that even church skeptics are finding his efforts for people to view the current church leadership in a positive light - hard to resist. 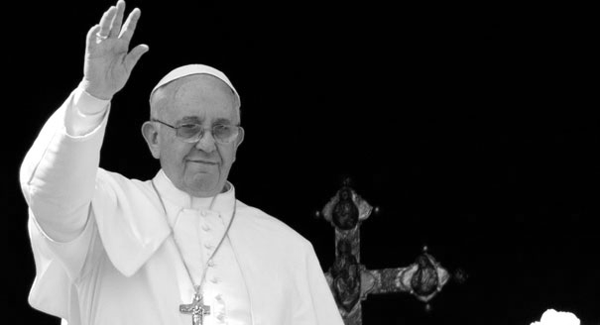 In a recent interview published in the New York Times, the Pope said that the Roman Catholic Church had grown “obsessed” with preaching about abortion, gay marriage and contraception, and that he has chosen not to speak of those issues despite recriminations from some critics. “We have to find a new balance, otherwise even the moral edifice of the church is likely to fall like a house of cards, losing the freshness and fragrance of the Gospel,” he said. In our own country, the CBCP (Catholic Bishops Conference of the Philippines) has greatly alienated the citizenry with hateful tactics directed at state related issues like the RH Law, divorce and gay rights. Classic example of this is the inclusion of their politics and the spewing of misinformation in church homily to advance the CBCP's effort to take away the freedom of choice among Filipino women and families in planning for a home that they can provide for.